This past Sunday, Animal Crossing: New Leaf finally reached North American shores, and Nintendo 3DS owners couldn't be happier. Much like Phil did with Animal Crossing: City Folk, he is going to be writing a weekly journal talking about his adventures in the town of Central. If you're ready, Phil's ready. On June 9th, 2013, I became the mayor of the town of Central. A gathering of animal locals surrounded the ceremony, cheering me on as I took up my new mayoral duties. My first act as mayor was planting a tree in Central Plaza. The animals that congregated around me seemed to enjoy themselves. I was taking over the duties of a longtime mayor who I've heard retired to a tropical island, so I had a hefty job ahead of me. I was able to designate a space for my house for Tom Nook to build, but it turns out all I started out with was a tent. After the 10,000 Bell total was paid, I finally got something that looked like a house to live in instead of something to camp in. This is how my house currently looks like on the inside. Sahara came by and fixed me up with a new wallpaper and flooring. I like this oriental look like going for, don't you? As mayor, I have taken care of three public works projects thus far: a second bridge to cross Central's river in the western part of town, a fountain in front of town hall, and a bench overlooking where the river falls into the ocean. My next goal is to create a third bridge, in between the two current bridges, so that the peninsula between the two bridges has a way to cross to the other side of the river. I also wish to have some street lamps in Central and even some bushes to make the town even more spectacular to visitors. In addition to the official public works projects, I decided to create a system of sidewalks and paths in Central. At first the pattern I used wasn't very detailed (as might see in the photos below), but I added more specks to the sidewalk to give it a textured appearance. After getting an axe today, I managed to cut down trees that got in the way of the paths I wanted to create. We at Central are very pleased with how they turned out. We also have a welcome sign for those who visit Central. In addition to that, in Main Street, Central now has a gardening shop. It took a day for it to be constructed (unlike construction on I-64...), and the proprietor of the shop, Leif, assists in selling flower seeds and tree seeds to spruce up Central. I even have the backing of the denizens of Central. Of course, every mayor needs to have some "me time." That's exactly what I did. I opened the city gates to outsides, and what do you know, some came in to party Central-style! From unwinding after a long hard day with some fishing to exploring the beach and island together, there's plenty of things to do in order to relax at Central. Finally, after all the fish I have caught, I now have a badge to prove that I have caught over 50% of the fish and sea life varieties. Not pictured here, but I have also nabbed 50% of the insect life in Central. So as my first week as mayor, Central has already turned into bustling village, more so than it was when I first arrived in town. I still have plenty of tasks ahead of me, such as expanding my own home and the museum, adding a third bridge to town, construction some streetlamps, and making sure I keep Central a thriving community. If you ever wish to visit Central, make sure you post your 3DS friend code here, along with your 3DS name. Until next week, this has been Phil's Animal Crossing Journal. inFAMOUS: Second Son originally debuted at Sony's February PS4 event. 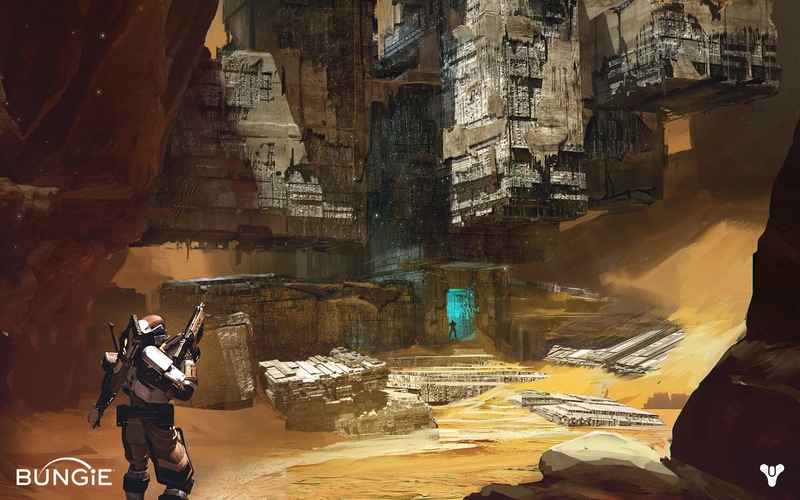 Although it debuted there, the game will actually release in early 2014. We're sure the wait will be worth it if this trailer is anything to go by. With a worldwide release date of October 12 of this year, Pokemon X and Pokemon Y are taking the series in a bold new direction. Compared to past Pokemon games, Pokemon X and Pokemon Y are akin to Pikachu turning into Raichu, that is, the series has finally evolved. Just like that, E3 2013 is over. The announcements have been made, the new consoles got their time in the light, and the awkward moments will forever be remembered. We get teased for agonizing months that seem to tick away at a snail's pace, and finally E3 came and it's over faster than the blink of an eye. Regardless, this E3 was one of the best for gamers, as not only were two consoles unveiled almost fully, but we got an enormous amount of new game announcements and new glimpses at already revealed games that we are as giddy as schoolboys. To cap off our E3 coverage, we have in store for you a list of ten of our most wanted games from the show floor of E3 2013. Many of these games came from left field, while some were previously announced but impressed nonetheless. After we're done broaching about our faves, why not share with us which ten titles excited you most by posting in our comments section? 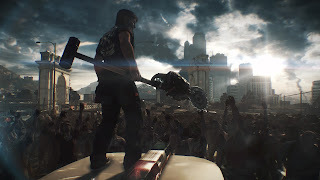 When we saw the gameplay footage of Dead Rising 3, coming from one of our favorite new franchises of this past generation, we had only one thing in mind besides how awesome the footage looked. We were thinking, "please don't let this be exclusive, please don't let this be exclusive, please don't let this be exclusive!" Turns out, yep, Capcom's comedic horror franchise's third installment is an Xbox One exclusive. 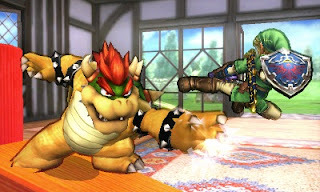 However, the blow wasn't as powerful as we were thinking. 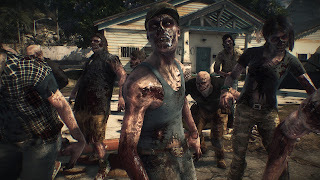 Capcom is saying that Dead Rising 3 is supposed to be more serious than past games, however, a good portion of the fun of the series was through its dark and morbid humor. We'll wait and see before we pass judgment on Dead Rising 3. 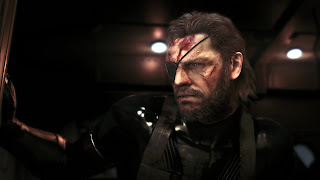 The first Metal Gear Solid game developed using the all-new Fox Engine, Metal Gear Solid V: The Phantom Pain is set to release on PlayStation 4, Xbox One, and thankfully PlayStation 3 and Xbox 360, for those who don't want to make the jump to next gen immediately. Metal Gear Solid V offers unprecedented freedom in the series, allowing players to select which missions they wish to do in whatever order they desire (while maintaining an understanding of the plot), an open world setting, and the ability to build and customize their own base. A day and night cycle will be implemented as well. Metal Gear Solid 4 was a disappointment to us, so Kojima Productions has a lot to prove to us for MGSV. Right now, it is looking like they may just impress us yet! What a shot to Microsoft's nuts having Bungie at a PlayStation press conference must have been. Regardless, what Bungie and publisher Activision showed at the conference did a lot to excite us. Their game is Destiny, something similar to Borderlands concerning all of the loot and weaponry you can acquire, and it features a ton of action. We get tired of all of the shooters out there, but this one seems less garden variety than the usual fare. Teaming up to take down a colossal mechanical creature looked awesome during the press event, and we eagerly await more information on Bungie's first product under Activision. 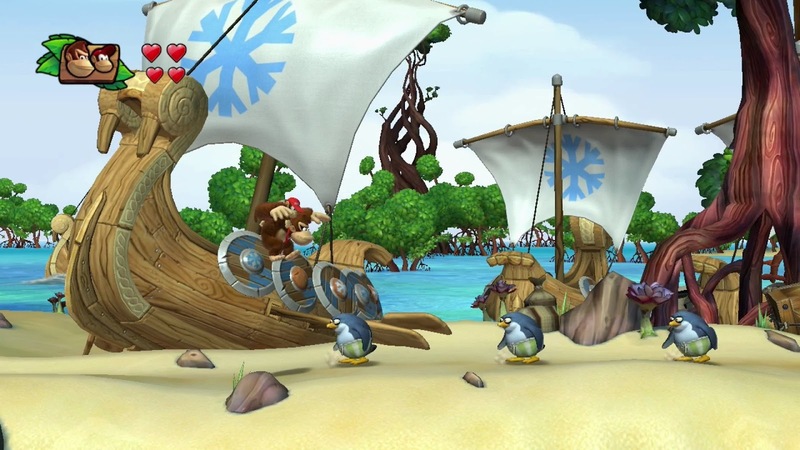 There was a lot of disappointment regarding Donkey Kong Country: Tropical Freeze. It was all due to gamers not knowing what Retro Studios' project was. When it was revealed to be their second foray into the world of Donkey Kong Country, hearts were crushed and souls were shattered. However, then we got to see more of the game through live demos and the trailer, and then it all of a sudden didn't seem so bad after all. The game looks solid, challenging, and full of surprises. 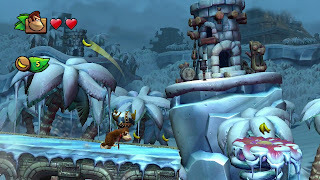 The addition of Dixie Kong and a secret fourth playable character intrigues us, and having David Wise back as the main composer for the series gives us tingles of nostalgia. We can't wait for the November release of Donkey Kong Country: Tropical Freeze. 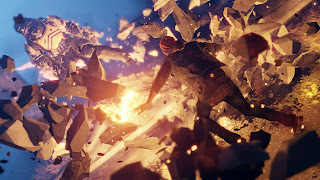 A game set to release after the PlayStation 4's launch, inFamous: Second Son debuted at Sony's February PlayStation event. 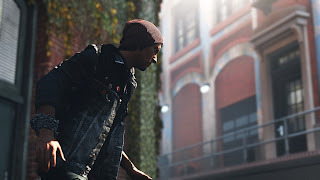 Protagonist Delsin Rowe specializes not only in smoke-based abilities, but he can also copy the abilities of other conduits. 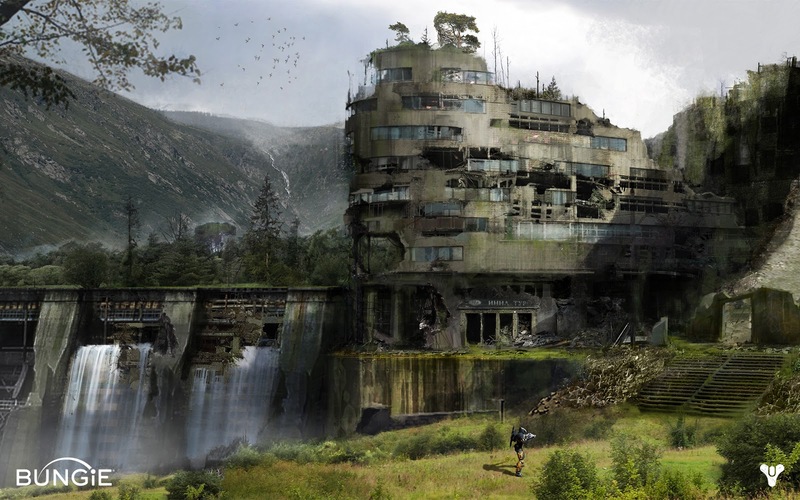 This open world action game is the third in the inFamous series, is set in Seattle (as opposed to a fictitious city like the previous two inFamous games) and is due for an early 2014 release. From the gorgeous graphics we've seen to the action-packed footage that has littered E3 (in a good way), inFamous: Second Son is the PS4 exclusive we're most excited about. Another disappointment at the Nintendo Direct was the unveiling of the new 3D Mario. Many assumed, including us, that the new Mario game would be akin to Super Mario 64 and Super Mario Galaxy. It would be something that really pushed the Wii U hardware. 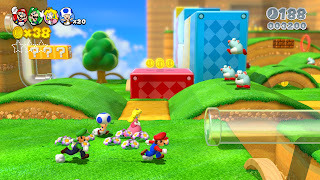 What we got instead was a sequel to Super Mario 3D Land with Super Mario 3D World. Again, the disappointment quickly went away when we saw the game in action. 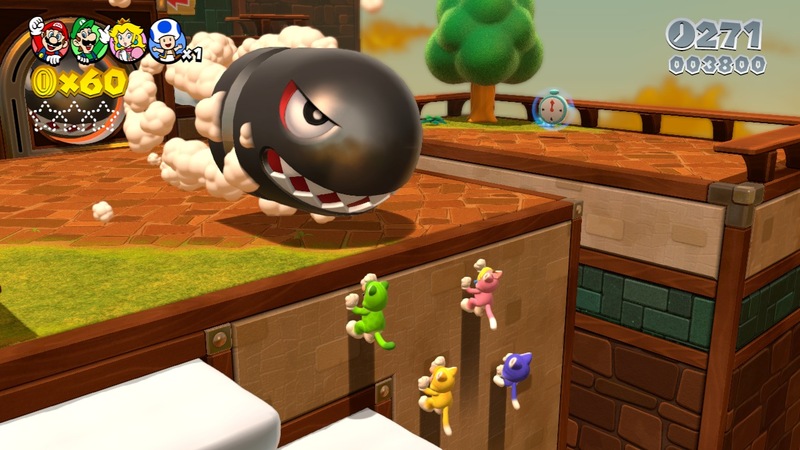 The new cat power-up looks phenomenally fun, having four unique characters is a great treat, and having actual multiplayer in a 3D Mario title is something that we can't wait to try out for ourselves. Super Mario 3D Land is one of the Nintendo 3DS system's best titles, so even though we started off sour on Super Mario 3D World, we welcome a sequel. While Super Mario 3D World certainly doesn't push the Wii U hardware as much as we'd like, a game that does is Mario Kart 8, the latest in this stellar kart racing series. The graphics look absolutely jaw-dropping, showcasing Mario and company with an immense amount of hardware power. 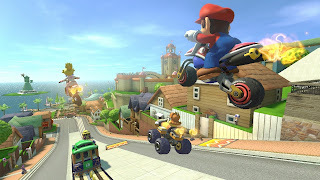 Now, karts and bikes can ride along walls and ceilings with the F-Zero style anti-gravity gameplay. 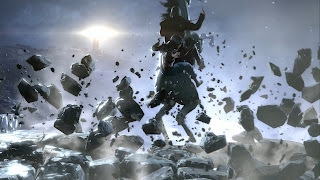 Alongside that, the developers are aiming to get the game at a consistent 60 FPS, making for one fast and fluid ride. 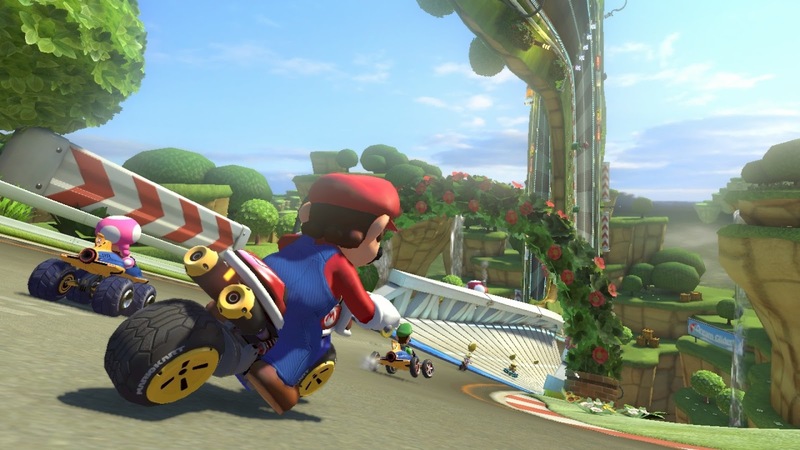 Mario Kart is always a blast to play, and with all of the features packed into Mario Kart 8, we might be seeing the best version of the series yet! 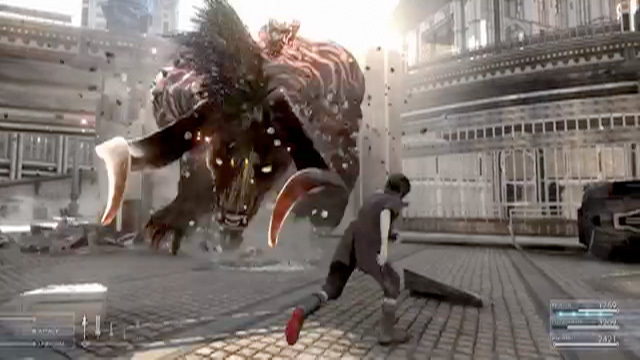 There was an extraordinary amount of rumors that Final Fantasy Versus XIII would turn into Final Fantasy XV. The countless people who suggested this and theorized were absolutely right. 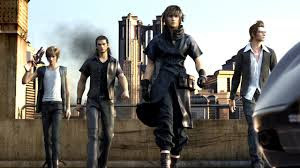 After struggling to recapture the quality of previous games in the series with Final Fantasy XIII and Final Fantasy XIV (the latter of which had to be revamped and re-released), Final Fantasy XV looks to be Square Enix back to its old form. 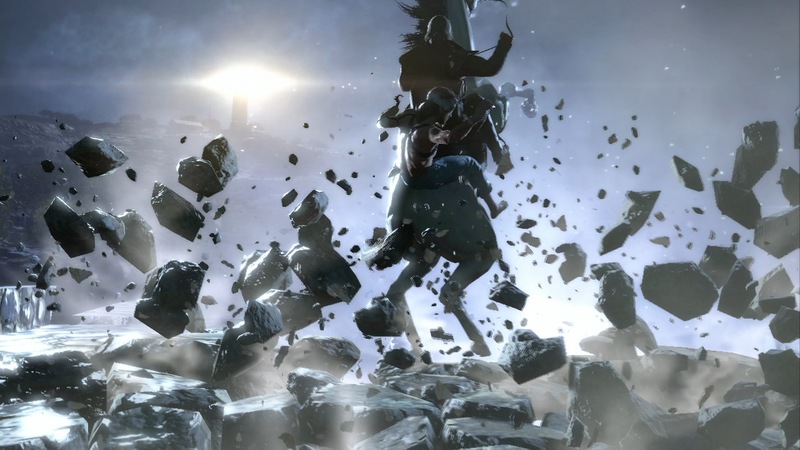 Maybe it's too early to say such a thing, but you can feel free to shove this article in our faces if FFXV turns out to be bad. Just one more thing... Tetsuya Nomura followed the Final Fantasy XV announcement trailer with one more new game announcement. That game announcement was none other than the long awaited Kingdom Hearts III. 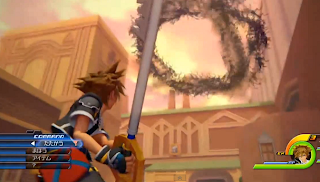 After all of those spin-off titles after Kingdom Hearts II, we finally have a new mainline installment to cheer for. 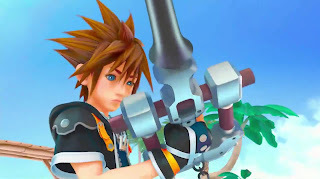 In the trailer, we saw Sora standing at the Destiny Islands with keyblade in hand, and then we saw him scurrying away from a tidal wave of heartless in Twilight Town. This short amount of footage gives a large amount of hype for this game. What's great is that it's multiplatform for PlayStation 4 and Xbox One. Here's hoping Kingdom Hearts III strikes a nice balance between Disney and Final Fantasy. 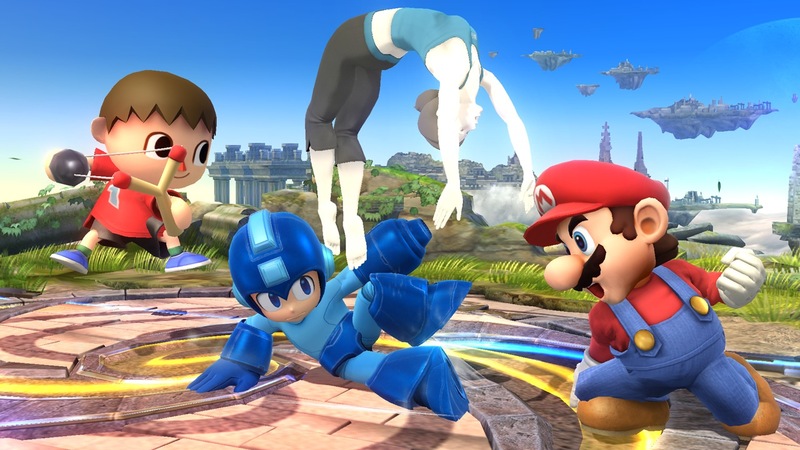 We listed Super Smash Bros. for Wii U and for Nintendo 3DS as our most anticipated titles leading into E3. Now that we have seen the games in action, our anticipation is at a fever pitch. Seeing that both the Wii U and 3DS installments to the Smash series will feature different stages, Nintendo already has us biting at their bait, hook, line and sinker. The addition on the first third-party character in Mega Man was an announcement that made us giggle with glee like the man-children we are. 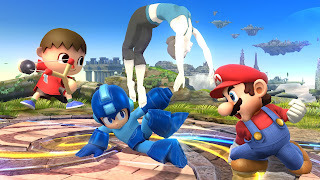 We're just a bit sad that we have to wait until next year at the earliest to get our hands on the final build of both Super Smash Bros. games.